I don’t want to miss out of sharing what our boy’s costumes during this year’s Trick or Treat. 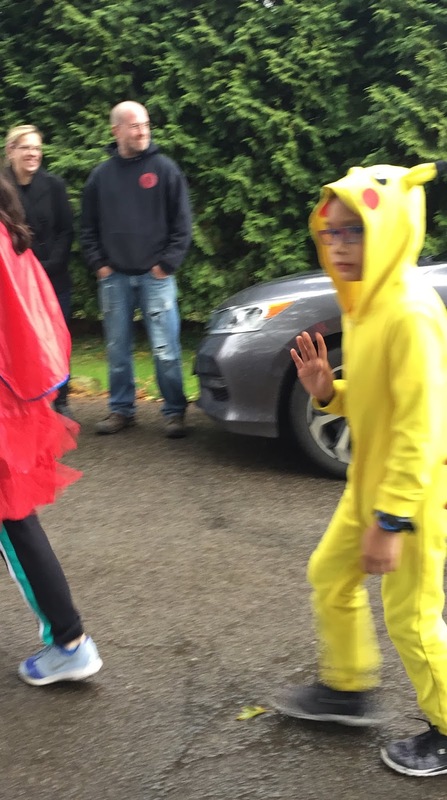 Chaos chooses to be a PIKACHU a famous Pokemon Character and the youngest has always wear the hand-me-down costume which is a NINJA. 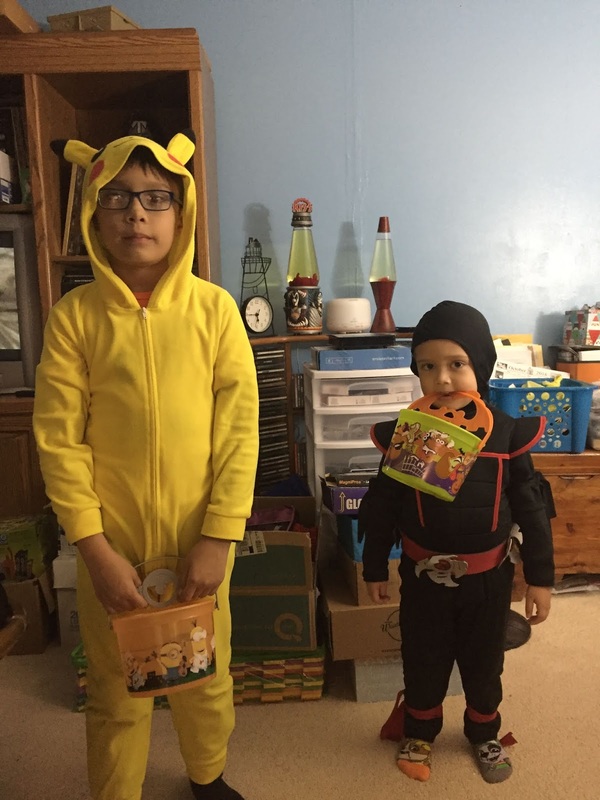 Both likes to be their unique CHARACTERS this year and I’m happy to see them both excited to go out trick or treat dressing up. Weather is quite bad too; it’s raining and muddy outside. I don’t expect that there will be many who will go out tonight for the trick or treat. But we shall see, it’s a good weather to stay up until 8pm but when it’s damp outside and wet? Some people would never go that far at all. I would not blame them. So far, around 6pm the boys headed out along with my nephew this time. 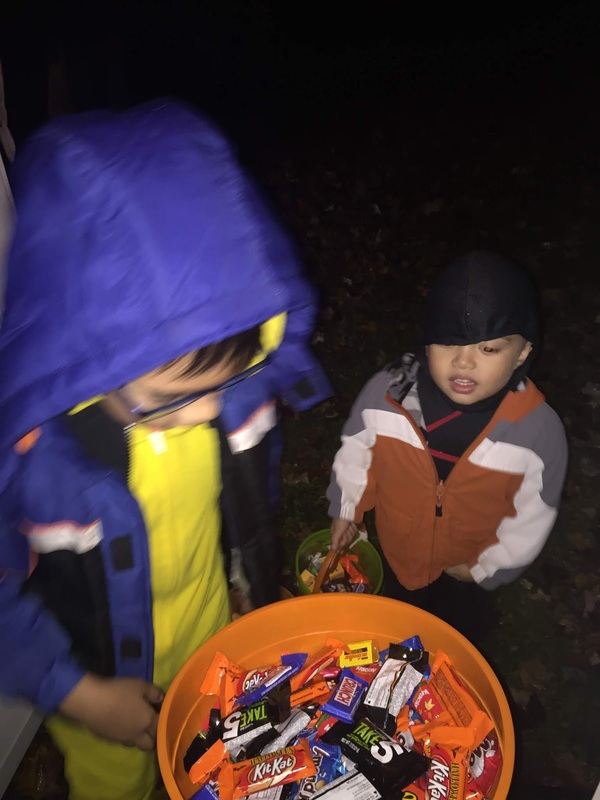 It was his first Trick or Treating so he went along with the boys and his Uncle. My niece and I were the one who stayed home. I wanted to go, but I need to hand out candies for the kids to come over as well. Like my prediction, there were not many who came. 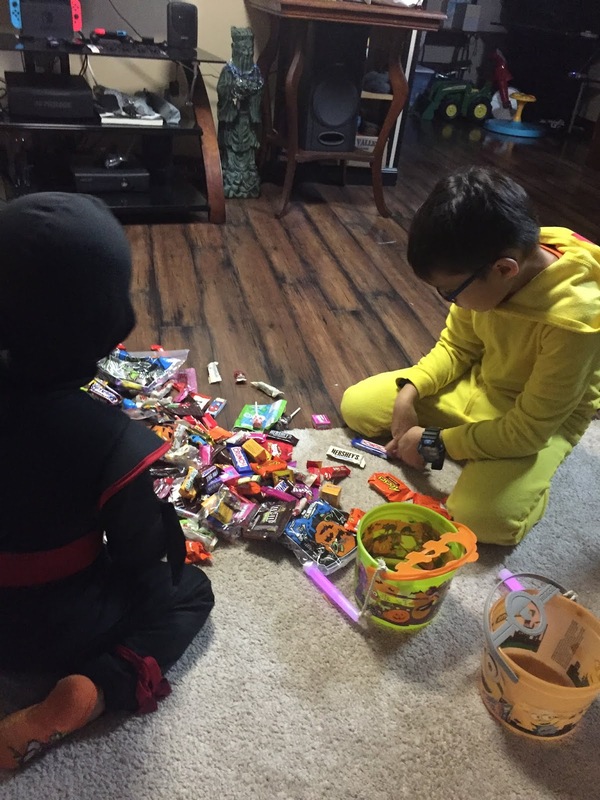 And we’ve got plenty of candies to eat. 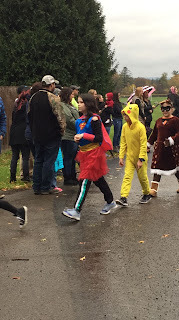 Nevertheless, my goddaughter came with her parents for a quick stop of trick and treating. The couple was beautiful as they also dress up as Mr. & Mrs. Vampire. 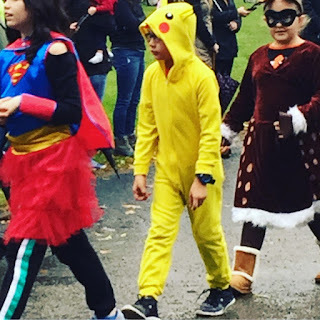 Earlier that day, the Elementary is having their Halloween Parade at school. So my sister and I went to see my son walked along with other students by class on their parade. It was only a short one, as there were not many pupils in that school. It’s fun to see the whole employee walked with their costumes too, seeing the kids walk is more treasure to see.